June saw some pretty diverse international visitors to the Paste Studios in New York City. Artists from England, Northern Ireland, and Sweden (among others) performed stripped-down sets in our Manhattan offices much to our glee. Those artists, Band of Skulls, Astronautalis , Foy Vance, and Peter Bjorn and John all made our list of favorite sessions from last month, so check out those and other June favorites below. U.K. rockers Band of Skulls have always managed to strike a vein within the latest insurgence of blues-driven indie rock. Since the band’s debut in 2009, they have consistently brought a similar bluesy spit and swagger to each of their albums, and the band recently stopped into the Paste Studio to show what else the band has picked up from their years in music with the release of their latest album By Default. Yet, By Default is palpably different from Band of Skulls’ prior releases. While not reinventing the wheel, Band of Skulls knows its strengths and plays to them accordingly. Rogue Wave formed in 2002 after frontman Zach Schwartz got laid off from a Silicon Valley conglomerate. Luckily, he’s found a great gig since then, as his band released its sixth album, Delusions of Grand Fur this past April. These stripped-down recordings of new songs left us spellbound. There are very few hip-hop musicians who can say they were related to members of the British aristocracy. However, Andy Bothwell, better known by his stage name Astronautalis, is a notable exception. A descendant of James Hepburn, the fourth Earl of Bothwell, Astronautalis’ royal heritage clearly has a rather large effect on his music. Many of his songs have themes related to history, and he has dubbed his style “historical fiction hip-hop.” Much of Astronautalis’ music combines hip-hop with indie rock, electro and talking blues into a melting pot of genres. The fusion of genres on Bothwell’s latest, Cut the Body Loose, opens up his work to a broader spectrum of listeners. A lot of groups go on hiatus from time to time. Some never get back together, while others have reunion tours and go on to record more albums. Thankfully, Fruit Bats are one of the latter. Part of the prosperous ‘00s folk renaissance, Fruit Bats revolves around primary member Eric D. Johnson (aka EDJ). A former instructor at the storied Chicago institution The Old Town School of Folk Music, Johnson signed with Seattle indie giant Sub Pop in 2002. Although he announced the act’s termination in 2013, he decided to reform the group two years later, and Fruit Bats’ newest album Absolute Loser came out this May. Swedish act Peter Bjorn and John is anything but a one-hit wonder. Bursting onto the scene with their breakout single “Young Folks” in 2006, PBJ finally treated us to a new album Breakin’ Point earlier this year. As a group formed right at the dawn of the indie-explosion in the mid-aughts, they bring a nuanced feel to alternative pop/rock music. Their new album will be their first LP released on the Swedish label INGRID, which all three members helped to create. 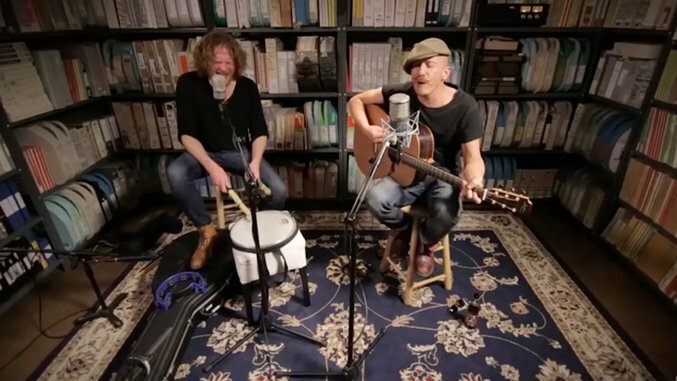 Northern Irish folk musician Foy Vance is a wordsmith with strong songwriting abilities. His latest album, The Wild Swan, is his third studio LP and was released this May. Having opened for Ed Sheeran and Elton John, Vance holds his own during performances. Vance’s gallant vocals give his music a beautiful veneer that, when coupled with his instrumentals, gives off a vivid luster. His charm is truly magnificent, able to work its spell on just about everyone.